Nat Methods. 2005 Aug; 2(8):599-605. Taylor AM, Blurton-Jones M, Rhee SW, Cribbs DH, Cotman CW, Jeon NL. The neuron device offered by Xona Microfluidics, LLC is fabricated out of optically transparent and biologically inert Polydimethylsiloxane (PDMS). The neuron device consists of two chambers connected by microgrooves. 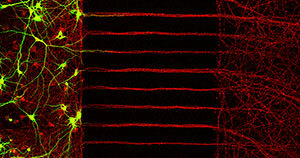 The neuron device makes it possible for the researcher to fluidically isolate cell bodies from axons. The device consists of two chambers connected by a much smaller microgroove barrier. 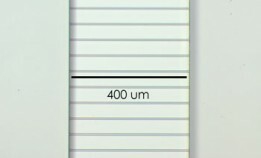 The hydrostatic pressure between the two chambers separated by the microgrooves allows the researcher to fluidically isolate each chamber. This is accomplished by keeping the volumes in the wells on one side of the device higher than the other side of the device. The difference in volume creates hydrostatic pressure, thus fluidically isolating each compartment. The total volume of the device is about 600 ul allowing the researcher to use less of the expensive reagents typically used in neuronal culture. 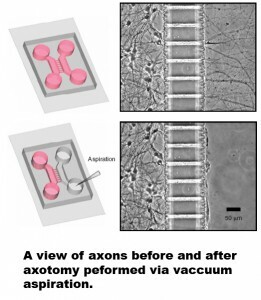 The neuron device also makes it possible to perform axotomy (cutting axons via vacuum aspiration in the distal chamber) and observing their regrowth. 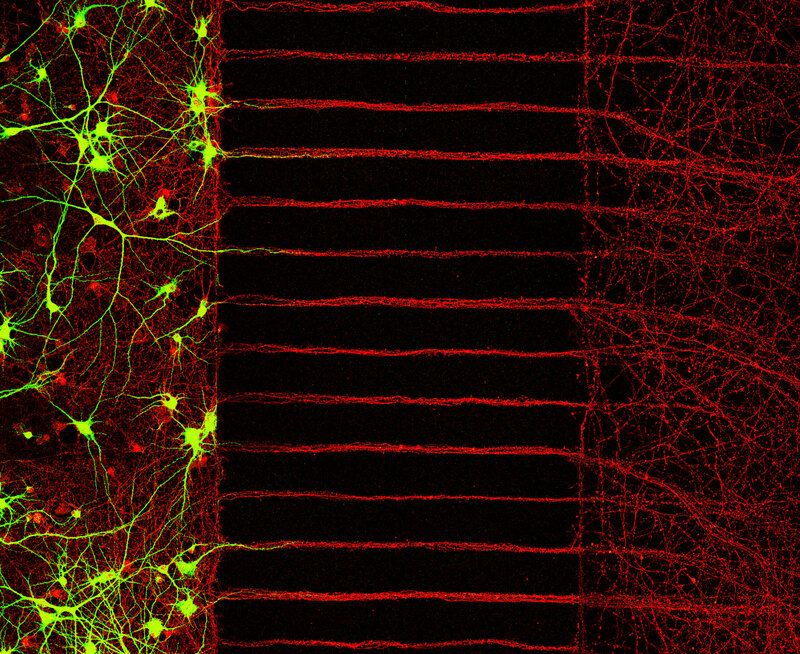 Important: Please note that the Neuron Microfluidic Device currently consists of the PDMS part only. Cover glass, cover dishes, related equipment, and other accessories are to be provided by the researcher. For indepth information about the neuron device and its use we recommend reading our detailed protocol which is available to our customers by request.